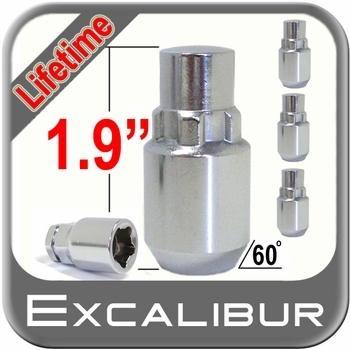 This Lifetime finish Excalibur Acorn Seat wheel lock set provides superior protection......for a lifetime. 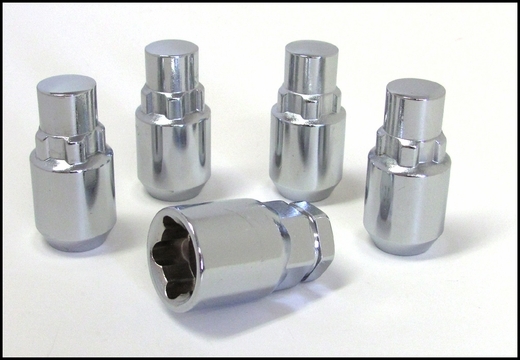 This Excalibur wheel lock set is designed to enhance and protect your vehicle and you will appreciate the perfect, snug fit and quality construction found is every Excalibur wheel lock. You can rest assured that you will be satisfied with these Excalibur Acorn Seat wheel locks backed by Excalibur's Lifetime Finish Guarantee.